Britclean don't just sell pressure washers, we also have a wide range of pressure washers available for either short or long term hire at competitive rates. 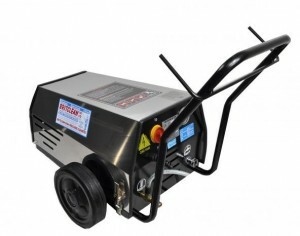 Whether for industrial, commercial or domestic purposes we are confident we can find the right pressure washer for you. Hiring can save you a lot of time and money while you can trust us to provide you with a reliable machine. We are an experienced trader and our expert team know the industry inside out. The need for a pressure washer might not always be permanent and you may just require a machine for an annual clean or have one project in particular you need to get finished. We can supply either electric or engine driven machines and we can deliver the unit to your site. We can also set up the equipment for you so it is ready to use. If you require the machine for a longer period we can provide long term hire contracts which bring the costs down even further. Britclean stocks a wide range of pressure washers from industry leading brands such as Karcher, Nilfisk, Ehrle and even our own brand of cleaning equipment. We have helped many businesses and homes keep the costs of their cleaning down and our expert engineers will always make sure you have the right product for your project. We regularly supply pressure washers to Staffordshire, Shropshire, Derbyshire and Cheshire from our Stoke base. If you would like to know more about our pressure washer hire service or you would like a quote then please don't hesitate to contact one of our friendly team who will be more than happy to help with any enquiries you may have. You can also pop into our workshop to see a demonstration of a particular product or to have a more in depth chat about our pressure washer hire service.